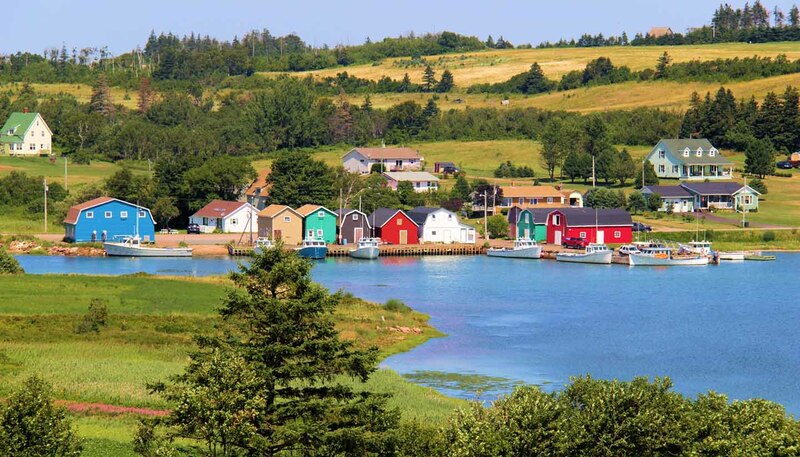 Time seems to slow down in tiny Prince Edward Island, whose singing sands, scrummy food and friendly people pack a tantalising punch. Every inch of Canada’s smallest province grabs your attention, from the red-sandy beaches and soaring cliffs to historic coastal communities, colourfully painted lighthouses and dazzling autumnal foliage. Even entering PEI across the 13km (8 mile) Confederation Bridge, the longest bridge over ice-covered waters worldwide, is elating. You can take your pick from a handful of scenic driving routes, or join legions of hikers and cyclists and traverse the entire island via the 410km (255 mile) Confederation Trail. Arrive in winter, and glide along the gently graded trail by snowmobile. PEI claims the warmest waters north of the Carolinas, and its sandy beaches and cute cottages bring visitors back year after year for splashing, snorkelling and lazing around. If you have the energy for more than sinking into the sand and flicking the pages on a good book, bring a spade and dig up giant clams. Being out on the water here means pottering around coastal bays and hidden nooks by kayak or setting sail to spot seals and seabirds. For a taste of as-fresh-as-it-gets seafood, try your hand at catching mussels and lobster on a deep-sea fishing charter. As well as great piles of fresh seafood, PEI dishes up a locally grown feast of fresh produce, from asparagus to strawberries. Whatever you order for dinner, it’s likely to have been plucked straight from the ocean or the nearest field. Lounging on the beach, paddling around limpid bays, chomping on delicious seafood: it will be with a heavy heart that you get back on that bridge. 5,660 sq km (2,185 sq miles).